As the Head of Training and Development at BBC, he built one of the most successful learning and development operations in the UK. 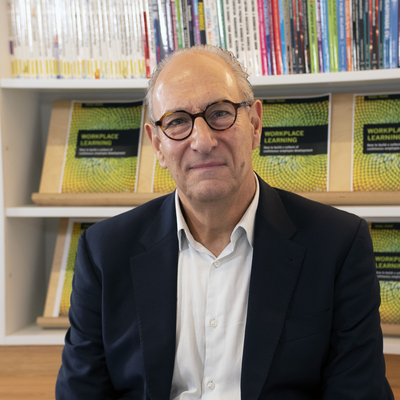 He now runs his own consultancy, which focuses on leadership, creativity, innovation and e-learning, working with companies in Europe, Brazil, Australia and the US. He is an academic director and member of the international advisory board at the University of Pennsylvania in Philadelphia, board member of Management Issues and a Masie Learning Fellow. Frequent conference speaker, Nigel has also written many articles for Training Zone and contributed and edited two books for the internationally respected Masie Centre think tank. In recognition of his contribution to learning, he received a Global Learning Leader Award at the 2006 Masie Learning Conference in Orlando, and the Colin Corder Award at the Learning Awards in London in February 2012 (The Learning and Performance Institute).